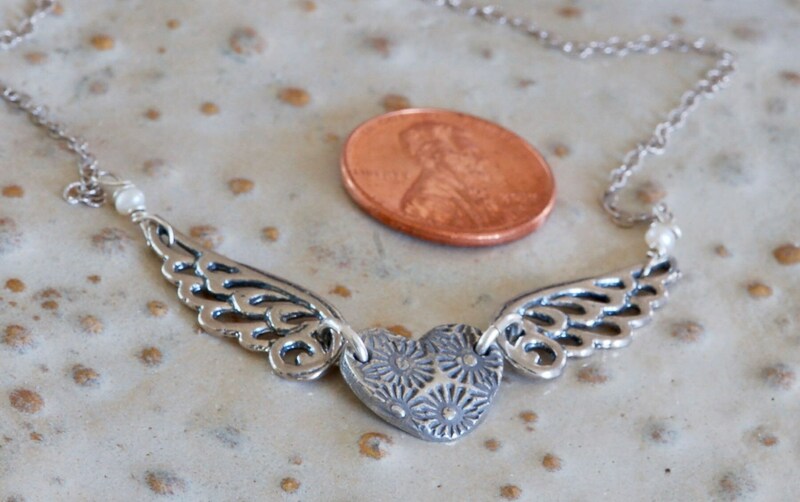 This angel wing heart necklace can be made with a pattern on front (as shown) or you can send me a fingerprint image, black ink print on white paper. (look at the last photo) I will put it on the charm that can be worn with print on front or it can be worn with print on back. 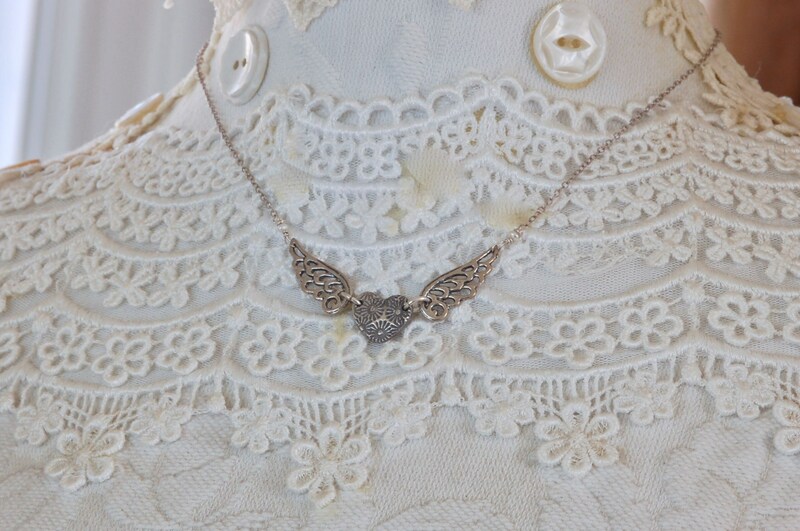 Initials can be stamped on the back (no extra charge). 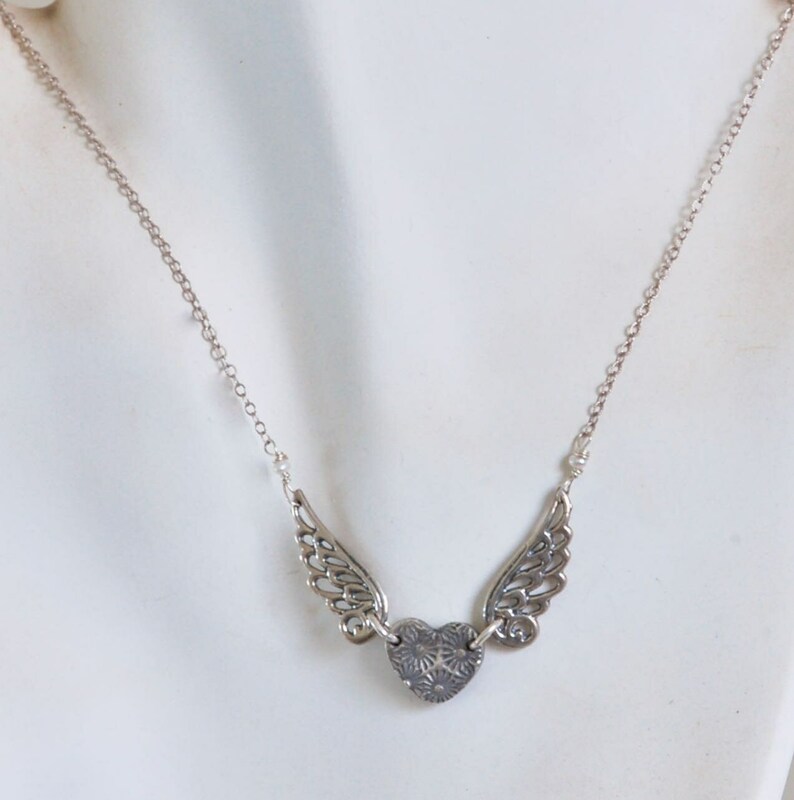 A great necklace to wear everyday. Different and simple. Lightweight, too! 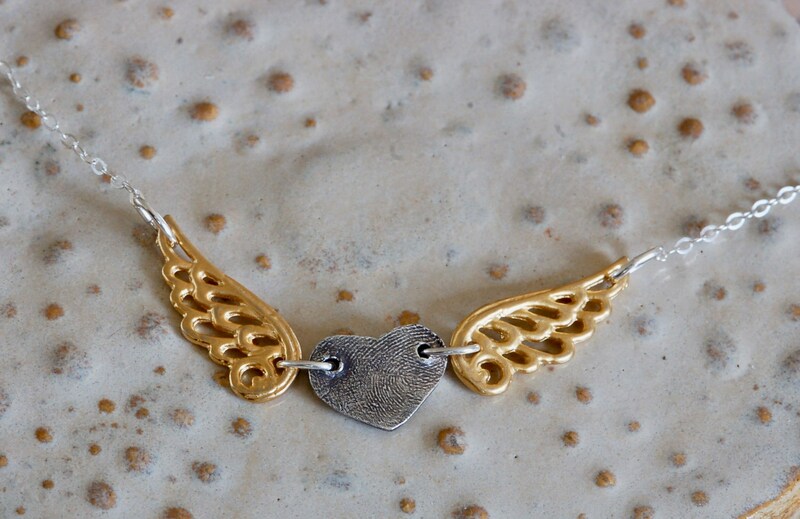 Silver charm is oxidized to give it a worn, artisian look. 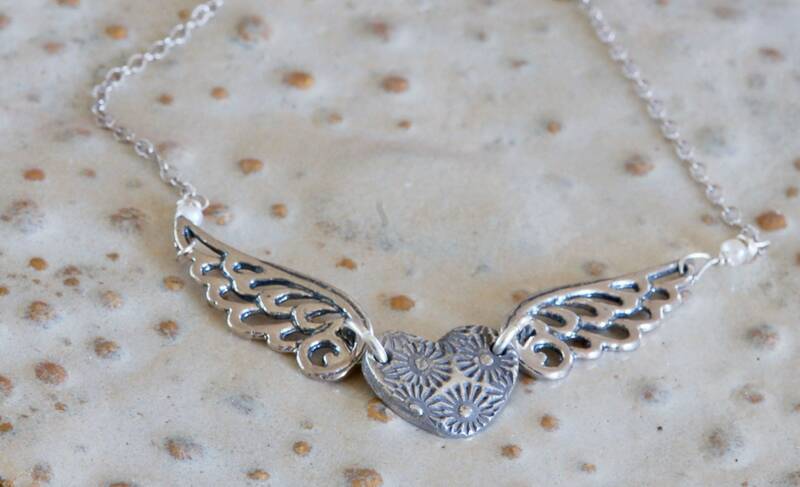 Silver charm is .999 fine silver, wings are silver plated and chain is oxidized sterling silver. Convo me if you need a longer chain or if you have any other questions.